Courtesy Photos | Aaron J. Davis The St. John’s Church is cropped from a Stereoview by J.B. Clark of Cardington. 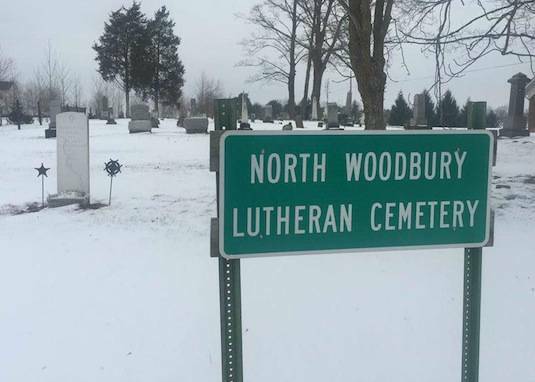 NORTH WOODBURY — This unincorporated community, located near Ohio 314 in Perry Township, dates back to June 21, 1830. Like some other early settlements in Morrow County, it went by two names. The plat was recorded in the Richland County Courthouse by Elisha Cornwall, David Tuthill and Charles Campbell. It sits within a few minutes of the Morrow-Richland county line. For a time, it also was called Woodview, according to Daniel Rhodebeck’s account in “The Threads of Time, A History of Morrow County,” published by The Sentinel in 1998. Churches dotted the early landscape and today remain the center of small communities like this one with its gently rolling hills and rural lifestyle. “We do a lot of outreach because it’s needed,” said Alex Bennett, who attends North Woodbury Alliance Church. The church has about 180 regular attendees, including children, Bennett said. “We try to be really involved in the community and help people in need,” she said. She described the congregation as “a good mix” of ages, and noted the outreach it does for children. “They do an after-school program, and also have a Good News Club,” Bennett said. St. John’s Lutheran Church, which sits across from the cemetery, also is active. Allen Levering, who was born south of North Woodbury, went on to become a State Senator. The post office existed until Nov. 29, 1902, with Alvin Whitney serving as the last postmaster. Gov. Michael V. DiSalle was the featured speaker at the commencement of the eighth grade class at Johnsville School in May, 1962. More than 1,000 residents attended the ceremony on the school’s football field. •North Woodbury was a self-sufficient community, boasting blacksmiths, tanyards, distillery, general stores, carriage factory, restaurants and more. Perry Township also had two baseball teams in the late 19th century. The two-story wood frame schoolhouse was engulfed in fire Oct. 18, 1963, ignited by sparks from a grass fire in the vicinity. It had served as the American Legion Hall for 13 years previously. Legion members soon built a one-story brick structure on the site. The cemetery was created in 1824. In the early 1900s residents could drive north a couple of miles to Shauck (Johnsville) for Saturday night square dancing sponsored by the Odd Fellows Lodge in their hall just off the square. This continued into the mid-1970s. Brandon Moore previously lived near Pines Christian Church “about a country mile away” from North Woodbury. But the former Morrow County Sheriff’s deputy said he “fell in love with this old beautiful house while out on patrol one day” almost seven years ago. Moore said he and his wife bought it as they wanted to remain close to her family. It also has a workshop behind the house which he uses for his small business. There remains a smattering of small businesses along Woodbury-Bellville Road (State Route 97), including Clear View Greenhouse, A&D Bulk Foods, Yoder Lumber & Building Supplies, Weaver’s Country Fruit Market and Johnsville Fencing. Ray Au, who has resided there for about 30 years, seems content. “It’s nice and quiet out here,” he said. 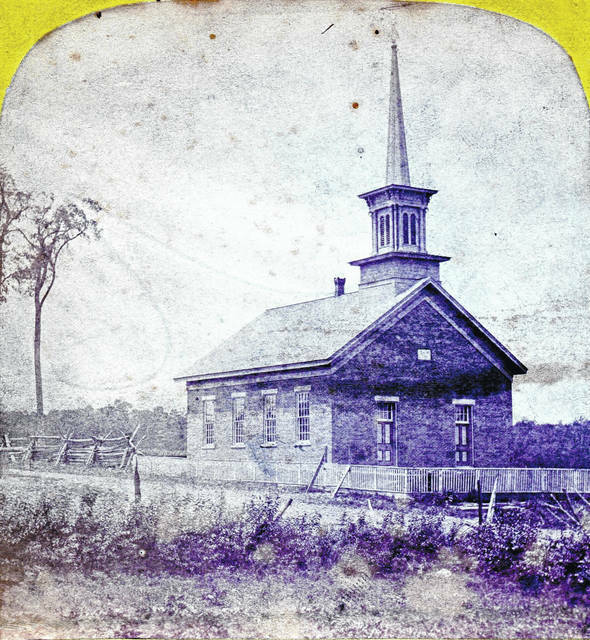 https://www.galioninquirer.com/wp-content/uploads/sites/38/2018/02/web1_woodview-lutheran-chruch-J.B.Clark-1873.jpgCourtesy Photos | Aaron J. Davis The St. John’s Church is cropped from a Stereoview by J.B. Clark of Cardington. Reach Conchel at 419-946-3010, extension 1806, or at aconchel@aimmediamidwest.com.